An ecological survey is frequently only the start of a process, and will often identify a series of measures necessary to protect the conservation value of a site. Our practical contracting experience means that we can offer both services from one organisation, reducing duplication and consultancy fees. 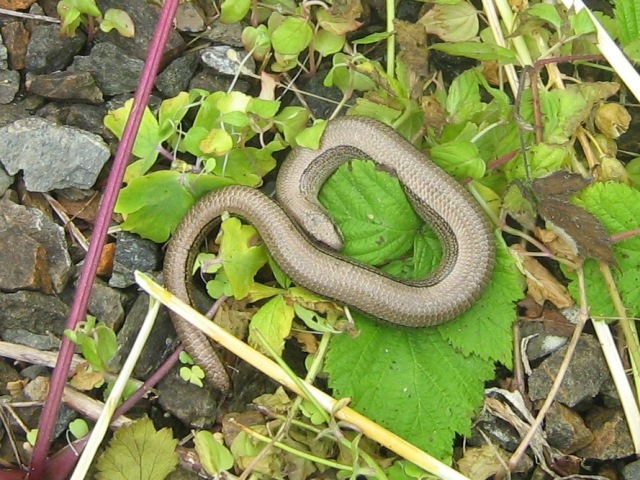 Reptile surveys are undertaken in the summer months, and require a number of site visits. Sheets of roofing felt are attractive to reptiles, as they warm up in sunny weather. 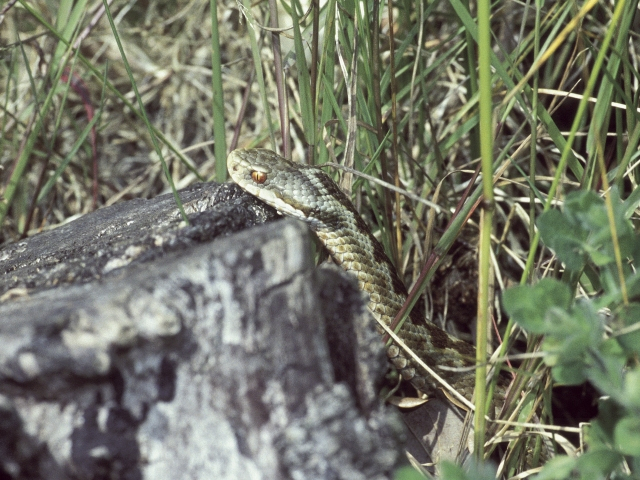 If reptiles are present, protection measures are often required, to keep them away from construction work. Sometimes constructing new habitats is also a valuable tool; this may be as simple as stone or log piles. Hirwaun, in south Wales, is a site for a proposed waste recycling and energy centre. 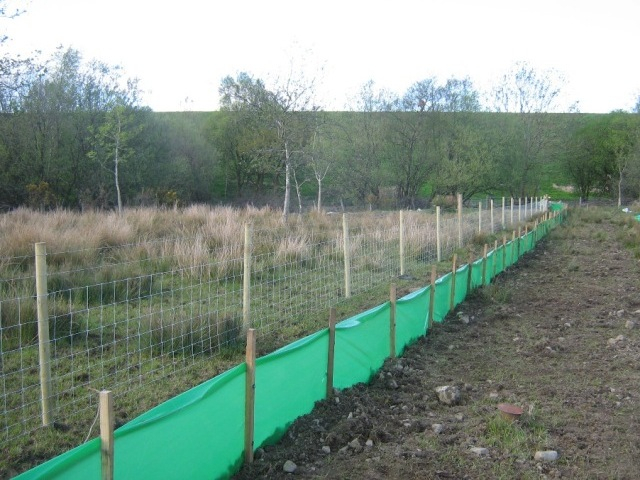 The fence was required to prevent reptiles from adjacent habitats straying into the proposed building site. Plastic roll is buried several inches into the ground, in order to prevent reptiles from burrowing underneath. 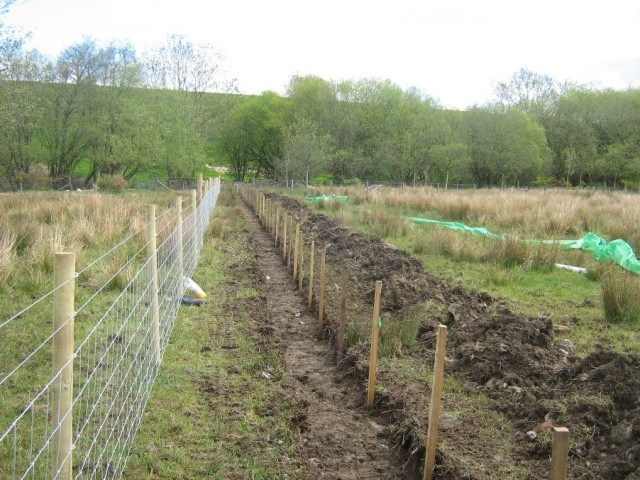 As well as erecting a reptile fence we also undertook stock fencing, as horses escaping from a neighbouring farm had damaged an earlier reptile fence (not ours!). In this case we were able to respond quickly and travel, to prevent further damage and also deal with the original problem: a badly damaged stock fence. 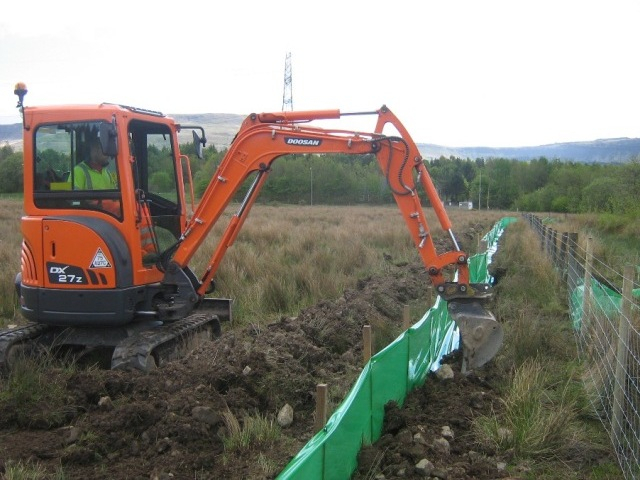 Fencing in various forms is an essential ecological mitigation tool, preventing wild animals entering a site, and also ensuring construction machinery is kept out of sensitive areas. Careful planning to prevent damage in the first place is the best practice. Reinstatement, or creation of new habitats are important, but take much longer to be fully effective.